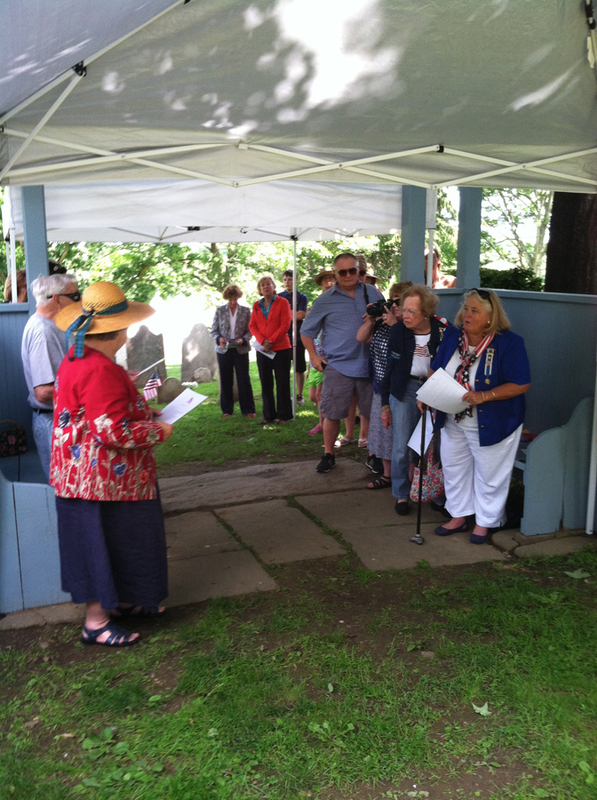 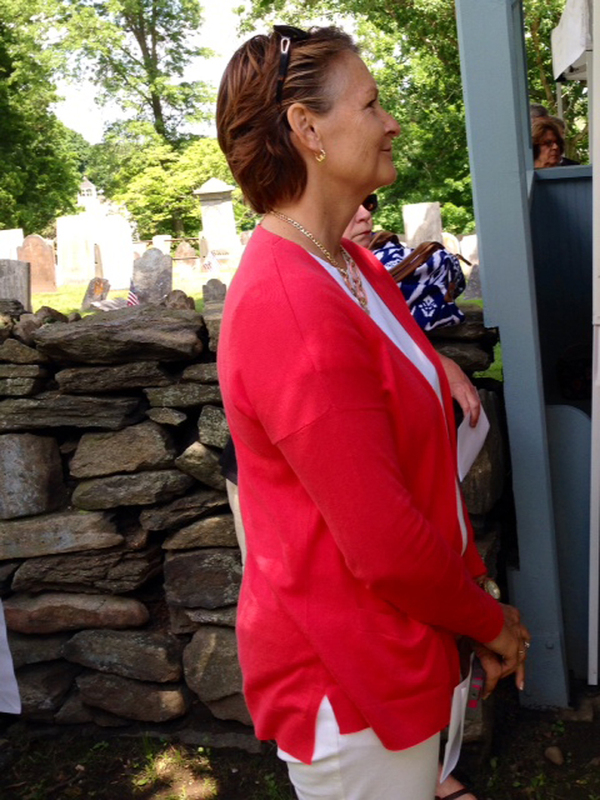 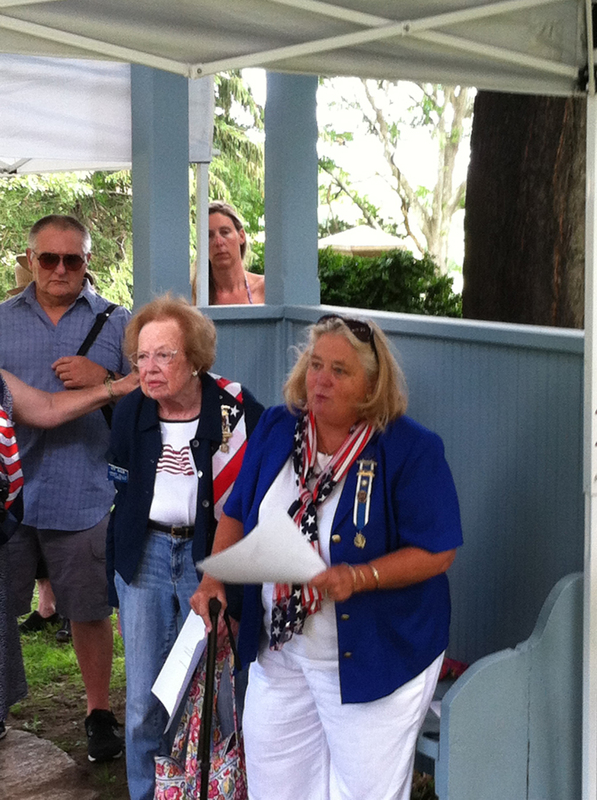 Melanie Marks (in red), a noted cemetery preservationist, along with Cathy Tymniak (in blue), Regent of the Eunice Burr Chapter of National Society of the Daughters of the American Revolution, dedicated a new plaque for fallen Americans who are buried in the Greenfield Hill Cemetery but were not listed on the original NSDAR plaque. 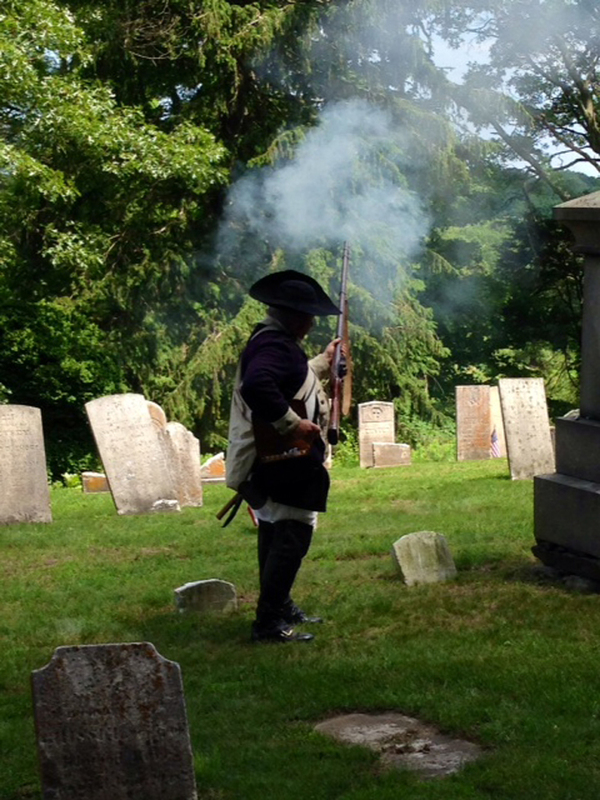 The Greenfield Hill Village Improvement Society and the local NSDAR chapter have been conducting clean-ups, renovations and improvements as ongoing projects at the Cemetery. 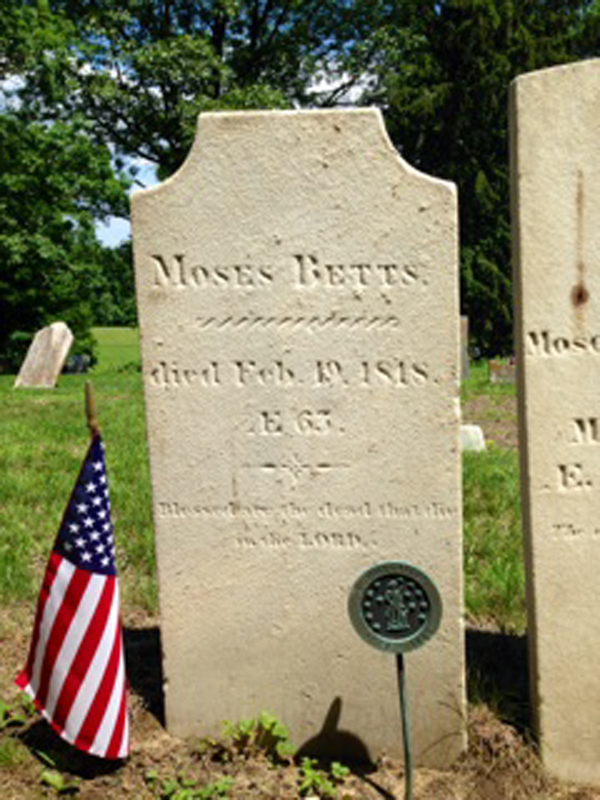 Two dogwood trees were recently planted on Arbor Day (see Arbor Day page) close to the grave of Isaac Bronson who was responsible for planting many white dogwoods along the roadsides of Greenfield Hill. 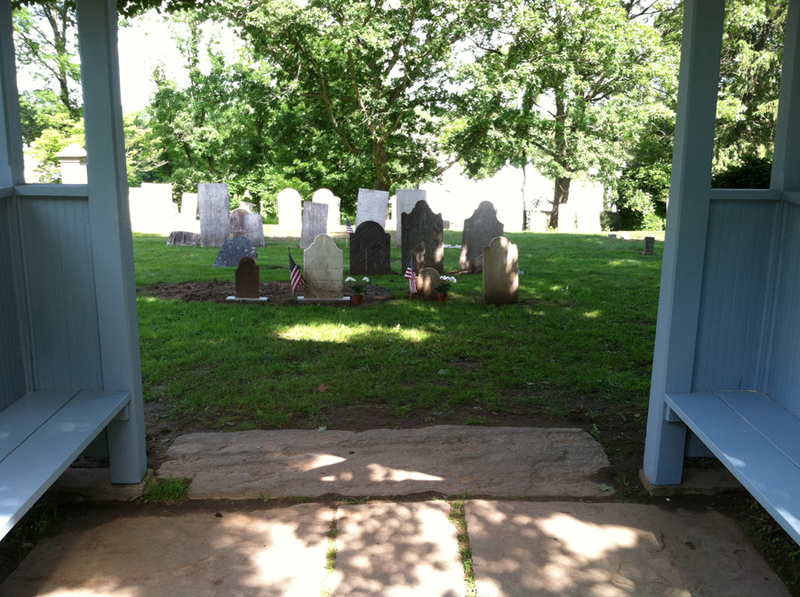 The central gate and stonewall has been repaired along with several new plantings. 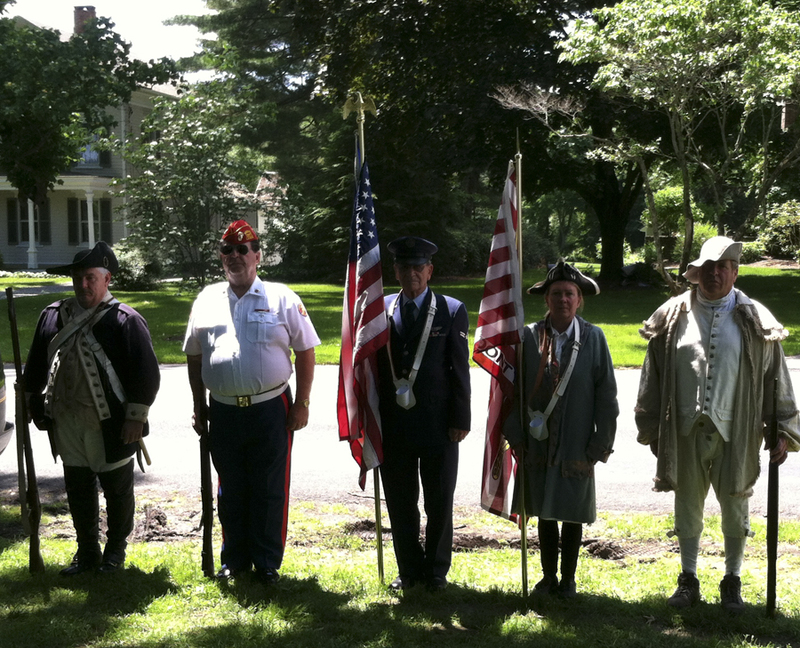 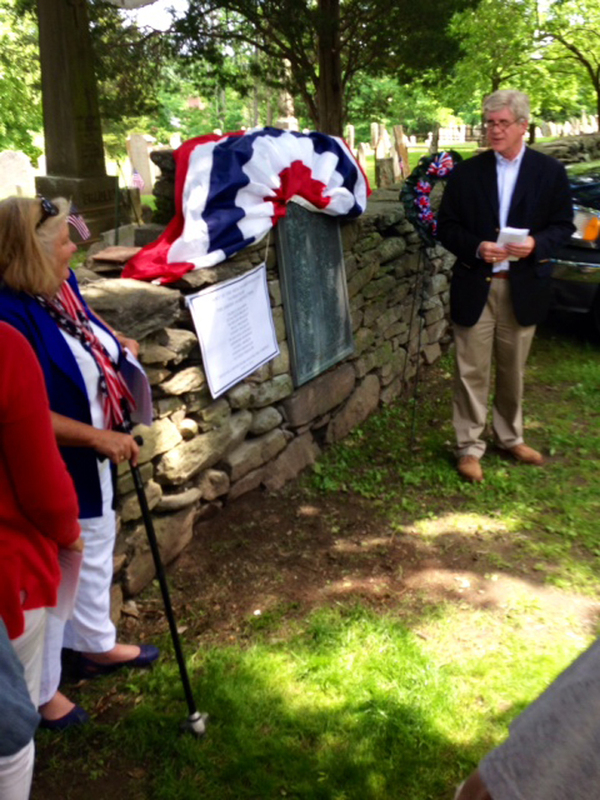 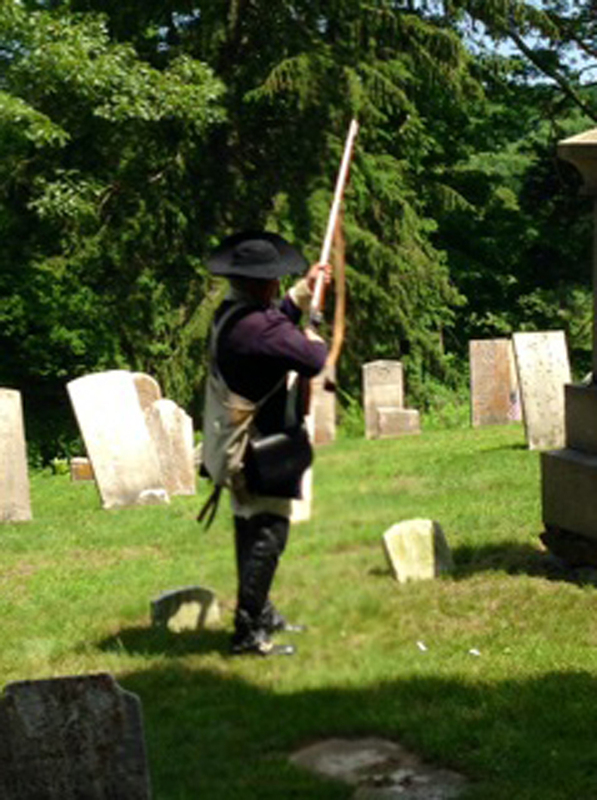 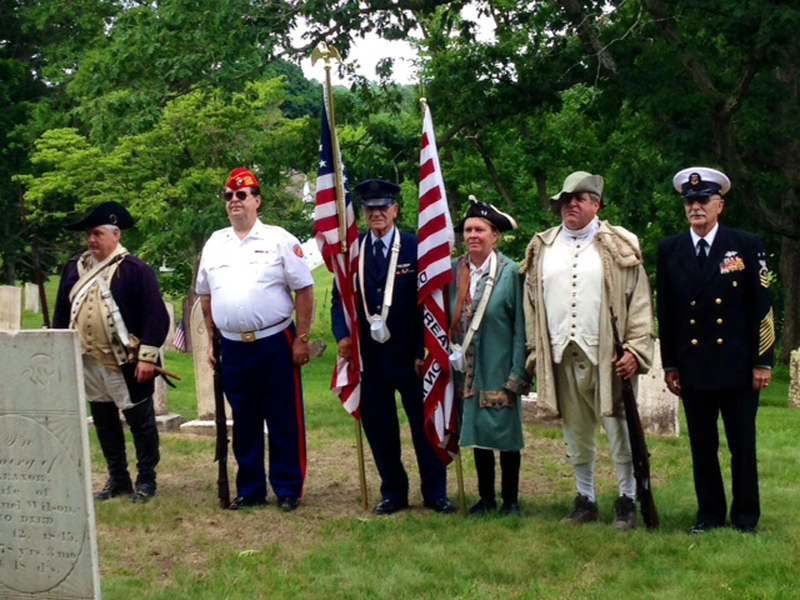 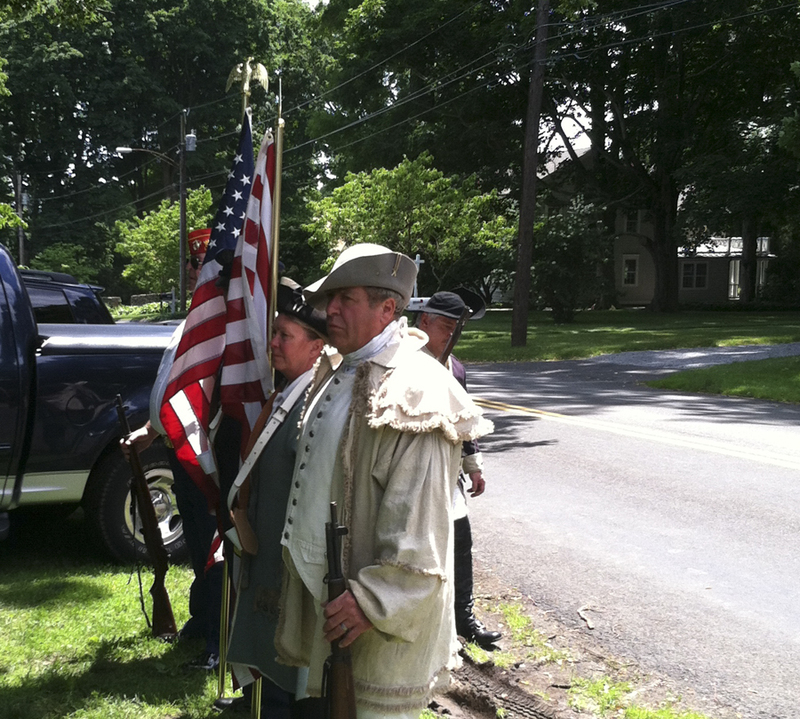 Many of Fairfield’s oldest families are buried in the cemetery along with over 100 soldiers from the Revolutionary War, and other soldiers from the French and Indian War, The War of 1812, and the Civil War. 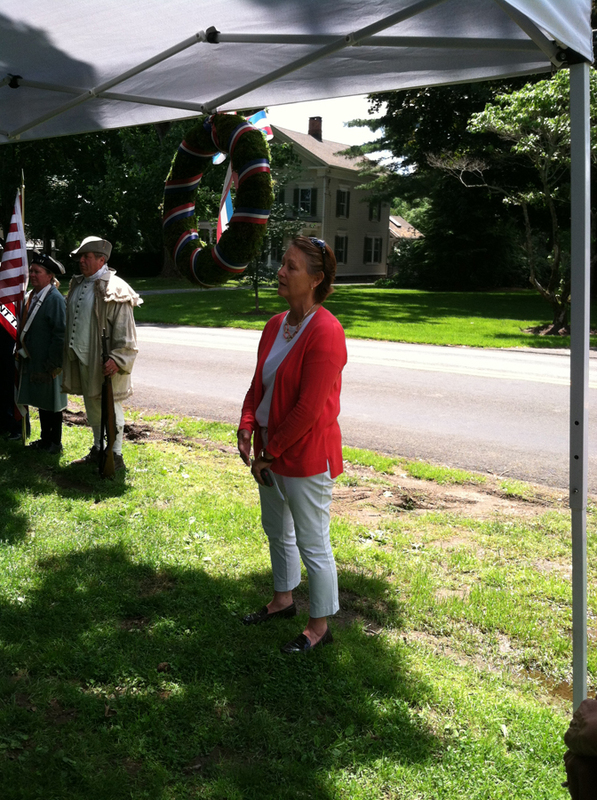 “This is another way we are celebrating the town’s 375th birthday and honoring its rich history,” explains Cathy Tymniak, D.A.R. 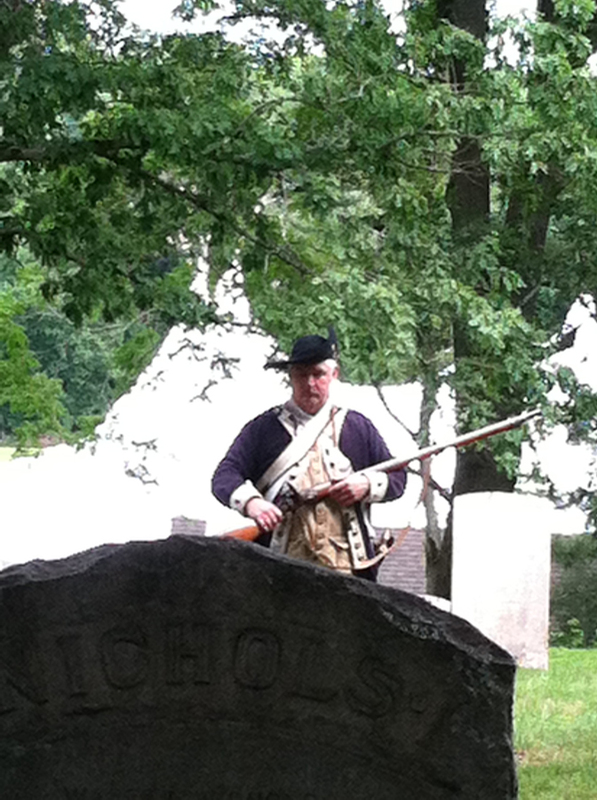 Regent. 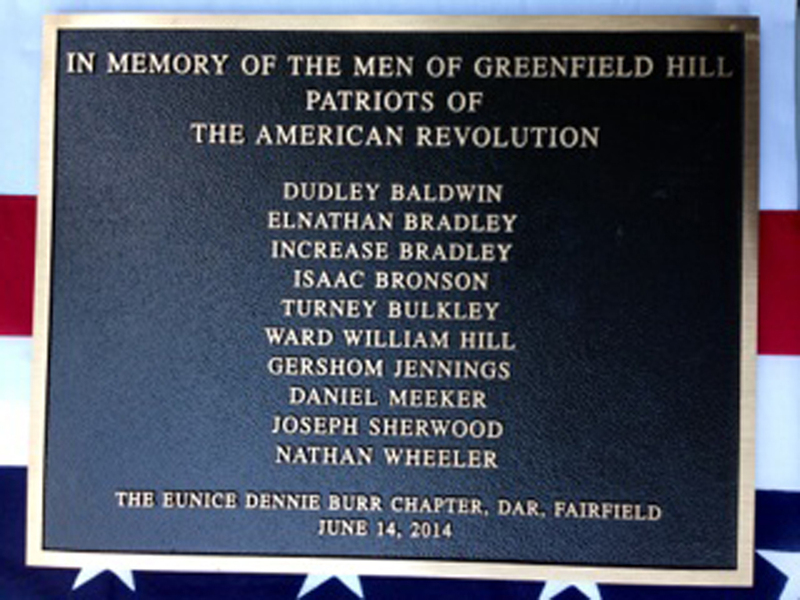 For more on the Eunice Burr Chapter of the D.A.R go to: EDB D.A.R. 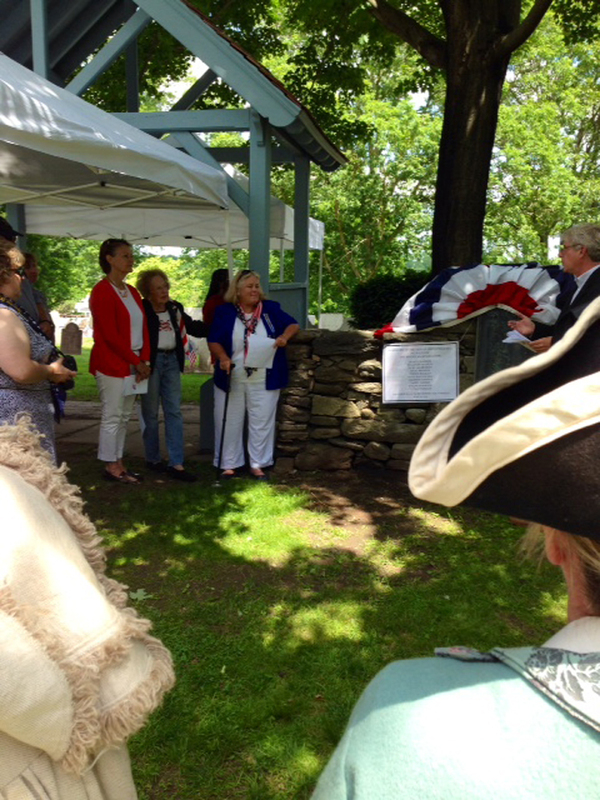 “The Society is always pleased to be a part of these projects which preserve the rural character of our town for future generations,” said John Jones, President of GHVIS.